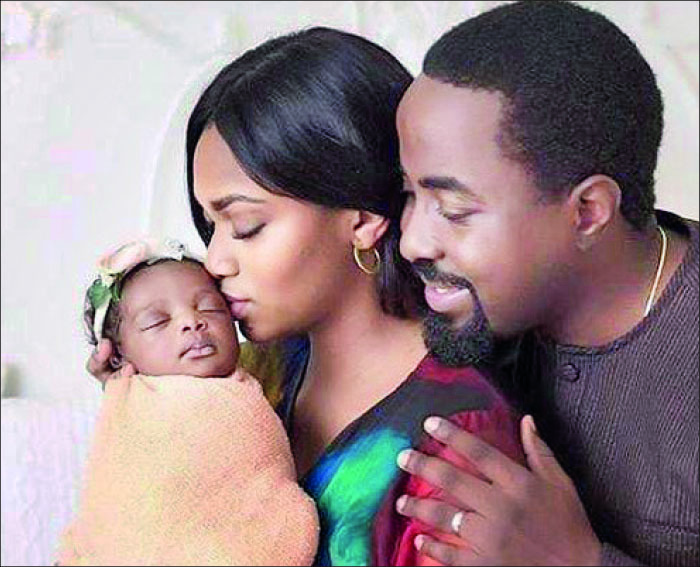 For Xerona, daughter of former Cross River State Governor, Donald Duke, and her husband, Derin Phillips aka DJ Caise, who is grandson of late international business magnate, Chief Antonio Deinde Fernandez, life has got on another top level as they are now proud parents of a baby girl. Spotlight gathered that the young couple had their baby early this year but on Valentine’s Day, DJ Caise shared a photo of the new family to celebrate the lovers’ day. In April 2018, Duke and his wife, Onari, dragged the upper crust of the Nigerian high society to the ancient city of Calabar where they hosted the traditional wedding of their daughter, Xerona and Derin (DJ Caise), the son of Engineer Lanre and Chief (Mrs.) Teju Phillips, former Lagos State Commissioner for Women Affairs.